Full seal eye protection is required. 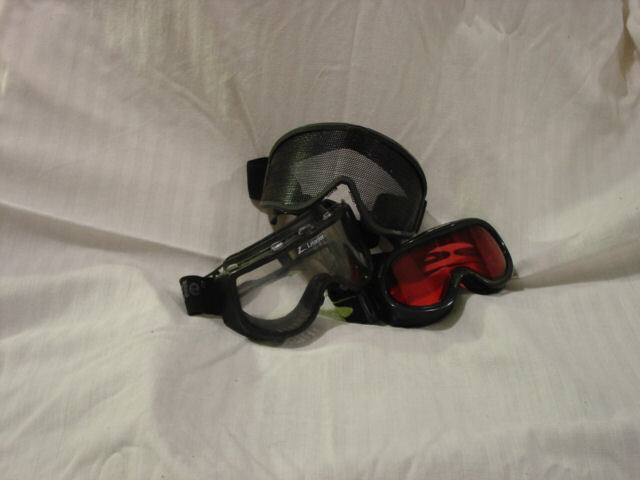 Plastic goggles that are ANSI Z87.1 rated, or approved metal mesh goggles are acceptable. Safety glasses, shooting glasses, and other similar eye wear are not acceptable. Remember that you are literally going to be living with goggles on at all times while outside during East Wind. Your goggles may come off only when you are safely inside of a tent. Make sure that your goggles fit well and are comfortable. Mesh goggles are a popular option both for the fact that they do not fog and also for their inherent scratch proof design. If you choose to use era correct original military goggles such as the Sand Wind Dust goggles, make certain to check that they are fitted with the ballistic lenses. If possible, bring several pairs of goggles so that you can tailor your goggles to the situation at hand. Mesh for a humid day, clear solid lens for night, tinted solid lens for a bright sunny day etc. 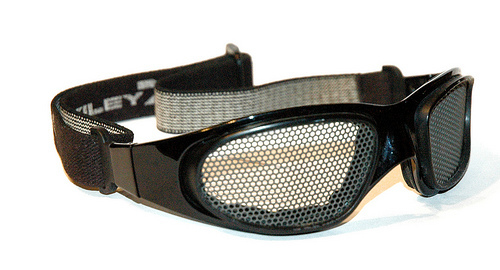 Mesh goggles need to be tighter than 20 holes per square inch for woven wire. Microwave door pierced metal screen is the most popular option for mesh goggles. This page was last modified on 28 February 2014, at 18:12.